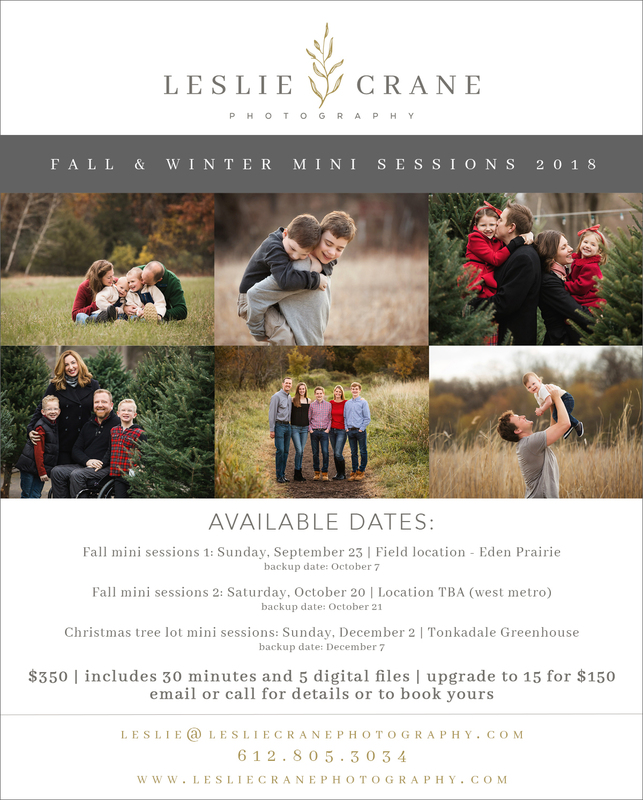 I know, it's July... but fall and winter mini sessions are happening! These are already partially booked, so if you would like a spot, don't wait too long. These are so much fun. For session details or to book yours, click here to visit my website and click the "contact" link.